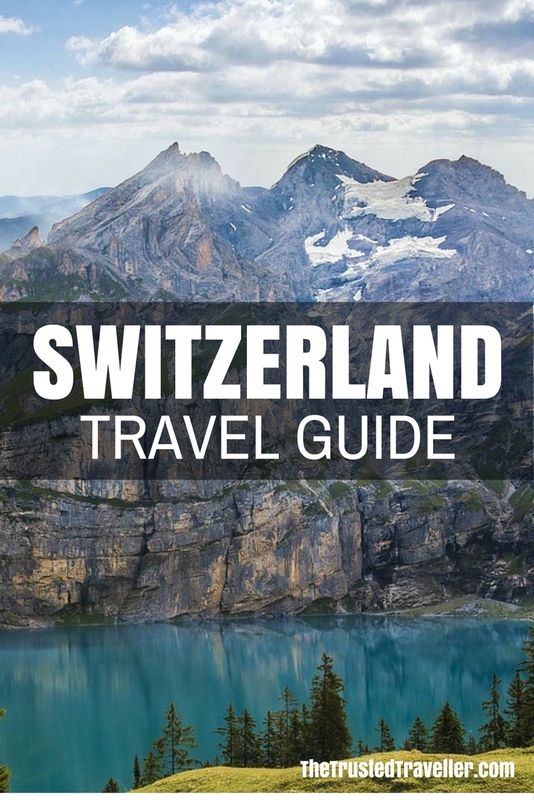 This Switzerland Travel Guide aims to provide you with simple and stress-free travel planning information and inspiration for planning a trip to Switzerland. On this regularly updated page you will find links to useful posts on The Trusted Traveller, budget information, details on types of accommodation available, information on getting around the country and more useful links to resources around the web. Currency: CHF Swiss Franc which is made up of 100 cents. Coins come in 5 cents, 10 cents, 20 cents, 50 cents, CHF1, CHF2 and CHF5 denominations and notes in CHF10, CHF20, CHF50, CHF100, CHF200 and CHF1000 denominations. Electricity: 230 volts AC, 50Hz. Plugs with two round pins and Swiss plugs with three round pins are standard. Outlets for 110 volts for small appliances can be found in most hotels. Switzerland is a small landlocked country right in the heart of Europe bordered by Austria, France, Germany, Italy and Liechtenstein. 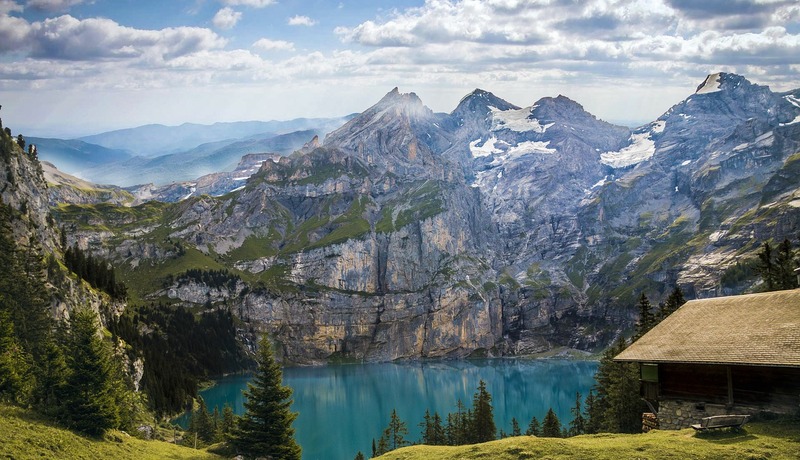 The landscape in Switzerland is mountainous with the Alps running right through the country and Europe’s highest peaks rising up to over 4,500 metres. Dotted through the mountains are thundering waterfalls, pristine lakes and green rolling pastures. 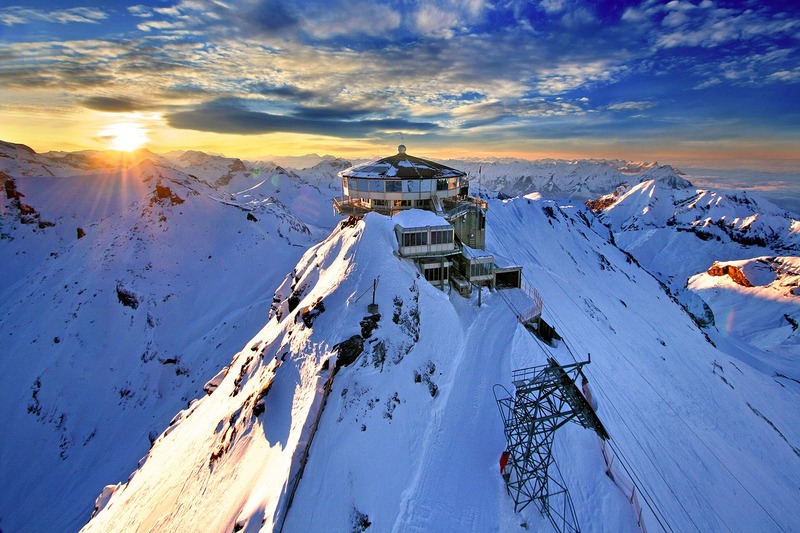 Switzerland has a moderate climate which brings warm summer days with cool night and cold sunny winters with lots of snow during the ski season of December to March. Heavy snowfalls higher in the Alps is common for around nine months of the year. Switzerland is a year-round destination and you should plan your visit based on the types of activities you wish to enjoy. June to September (summer) sees lots of sunshine and low rainfall making it the perfect time for hiking in the mountains and exploring the bigger cities. From November to March (winter) it is cold with plenty of snow, perfect for those wanting to take part in winter sports such as skiing. It is also a nice time of year to visit some of the smaller villages on the edge of the Alps because of the festive spirit and spectacular scenery. It is always recommend to have a mixture of cash and bank/credit card with you when you travel anywhere in the world and this is no exception in Switzerland. In Switzerland ATM’s are called Bankomats and are found in all major towns and cities across the country. As well, credit cards are widely accepted although some establishments such as small hotels and shops may only accept cash. To work out these costs in your own currency, I recommend XE.com. Getting to Switzerland from surrounding European countries is simple, quick and cheap by bus or train. You can find out more about rail travel in Europe, including purchasing tickets, on the Rail Europe website; and about bus travel on the Eurolines website. Switzerland is also well-connected by air with flights arriving in Zurich and other cities from all across Europe and the UK and parts of the US, Middle East and Asia. A flight from London to Zurich will take around one hour and forty minutes and a flight from New York to Zurich about eight hours. I use and recommend Expedia for researching and booking flights all around the world. 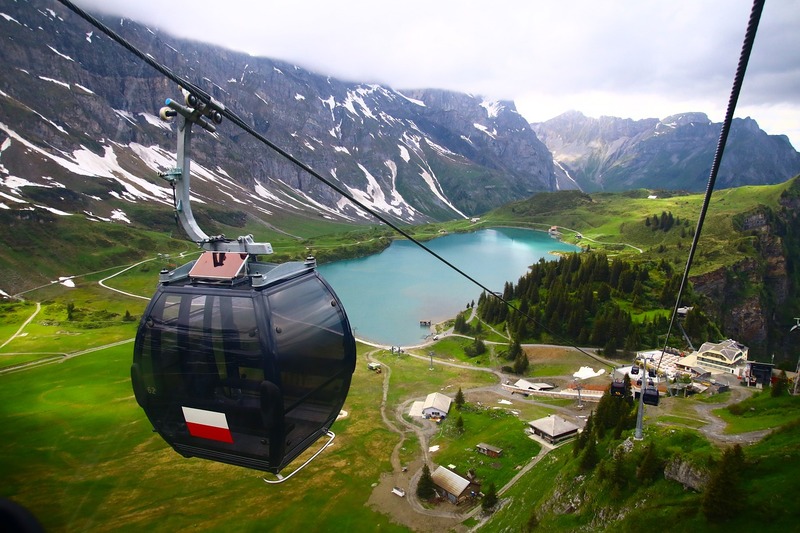 Switzerland is a relatively small country so getting around it is pretty simple and cheap. 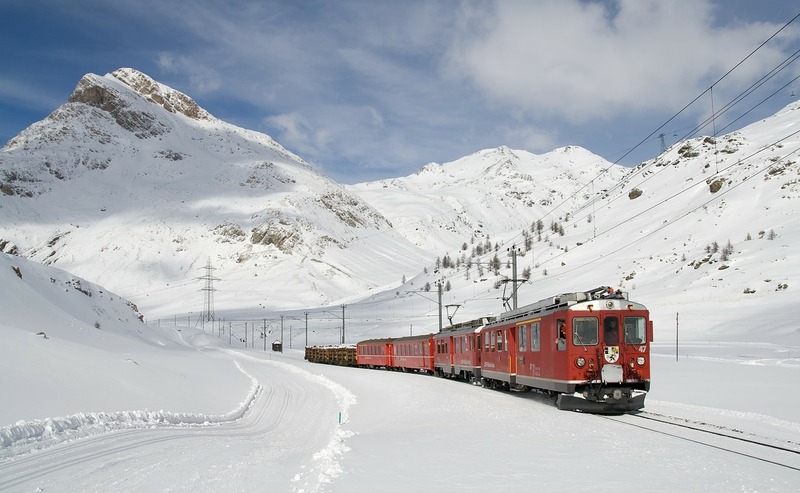 Europe’s excellent network of trains means that getting around Switzerland and in fact to/from other European countries is the most timely and cost-effective way to travel. All the major cities are connected to one another and you will find that most regional areas are well-connected to at least one of two of those major cities. Because of Switzerland’s proximity to the Alps, some of the world’s most scenic train journeys can be taken through the country too making it more than just a means to get from point a to point b. There are two classes on the trains, 1st and 2nd class, with the only real difference being slightly more leg space and room to move about in 1st class. Rail Europe for residents in USA, Canada & Mexico. Rail Europe for residents in Australia, New Zealand, UK, Europe and other select parts of the world. Eurolines operates services bus services around the country and they are a cheaper alternative to train travel but will take longer to get from a to b. 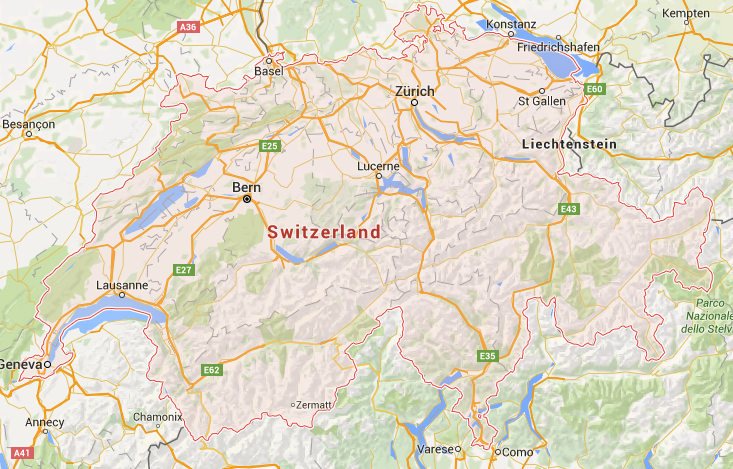 Because Switzerland is a small country, it is relatively easy to navigate if driving yourself. You’ll be able to collect a hire car from all major airports and cities with most allowing you to pick up in one location and drop off in another, which makes sense if you’re road tripping around the country. The roads in Switzerland are well maintained and easy to navigate because they are well signposted. During the winter months remember that weather conditions can change rapidly especially on roads going through the mountains. Be sure to obey all signs and drive with care in slippery conditions. 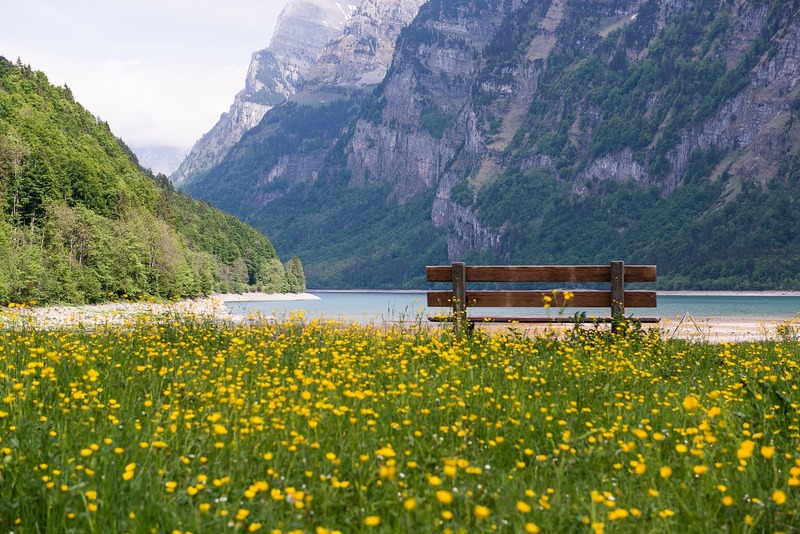 Camping/Cabins – With Switzerland being a very outdoorsy country you’ll find lots of camp grounds that offer tent sites and basic cabins as low costs. 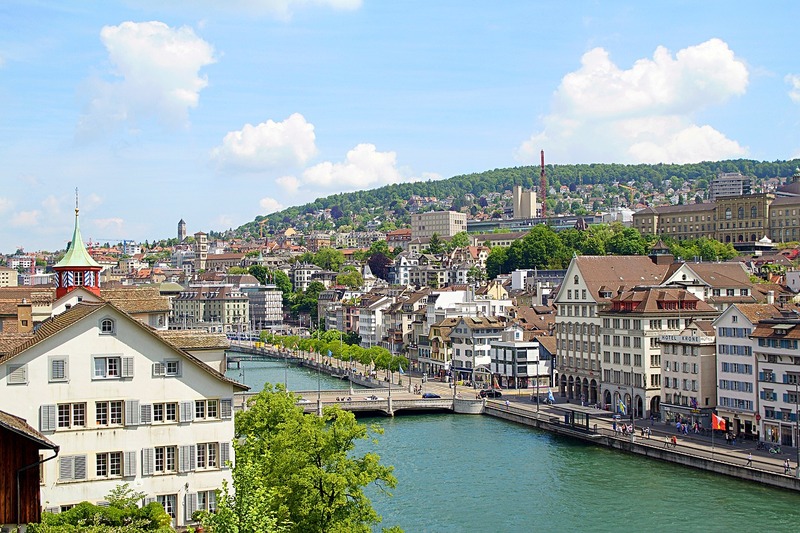 And as with a lot of other European cities, you’ll also find large camp sites on the outskirts of big cities like Zurich that you can stay at cheaply and commute each day into the city for sightseeing. 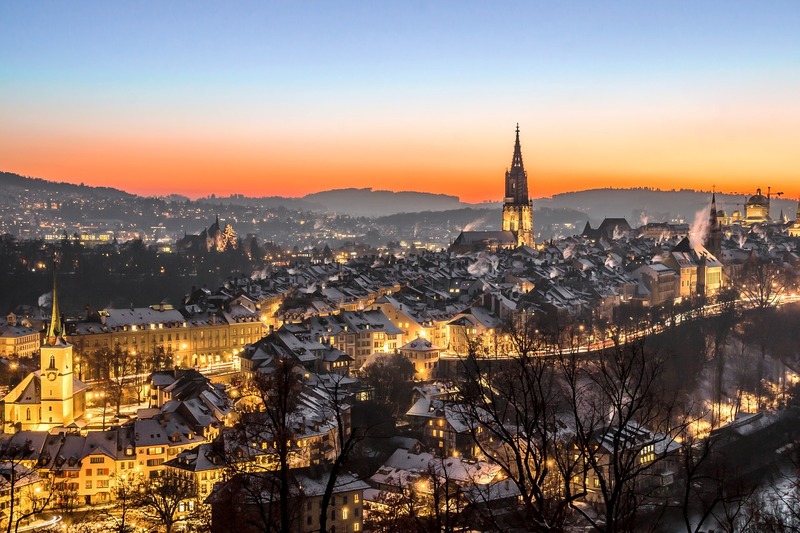 Hostels – You’ll find hostels in abundance in the Switzerland’s bigger cities and one or two in most other regional areas as well. The level of cleanliness in Switzerland and similar parts of Europe is well above average so you will likely find your room and shared bathroom to be super clean. B&B’s/Pensions – Small family run style accommodation like B&B’s or pensions can be found all over the country in big cities, small towns and popular rural locations. Accommodation is simple yet comfortable and the experience usually comes with friendly hosts and a home cooked breakfast each morning. Get up to $45.00 AUD credit when you join Airbnb using this link. Hotels/Apartments – You will find both chain hotel/apartments brands and independent hotel/apartments to be in abundance in cities across the country. The good thing about this type of accommodation is in most cases you know what you are going to get, a clean, comfortable and modern room with a decent array of facilities in the room and on the property. Apartments are great for longer stays as they allow you a bit more space and the option to self cater. I use and recommend Booking.com for researching and booking hostel, motel, hotel, apartment and resort accommodation around the world. Luxury Hotels & Resorts – Switzerland has its fair share of 5 star properties, some of which have been named in top lists of accommodation around the world. These will offer you brilliant service and a top location, sometime with incredible views of the surrounding area. Switzerland has a variety of eating options that will suit all budgets and tastes. While you will find the majority of its restaurants and cafes serve local and European dishes, the country is expanding and becoming more multicultural with its cuisine offerings. Supermarkets/Markets – Save money and shop in supermarkets and local markets for snacks, picnic lunches and even ingredients to make a whole meal in your self catering accommodation. Fast Food / Take-away – Chain fast food stores are in all major centres of the country and along highways as well. If you’re looking for a cheap and tasty fast food meal, look to where the locals are, usually getting snacks and light meals from food trucks and stands on the side of the street. Cafes – The Swiss love cafes and some of the world’s most well know can be found in the country. Coffee, delicious sweets and tasty Swiss sandwiches will be on offer for sit down or takeaway. Restaurants – Portion sizes tend to be on the larger side in Switzerland, so eating out in restaurants can be really good value. Consider sharing a meal with a travel companion if you’re not too hungry to save money or sticking to one course. Fine Dining – Switzerland has it’s fair share of the worlds best restaurants so if it is fine dining experiences you are after then you won’t be disappointed. 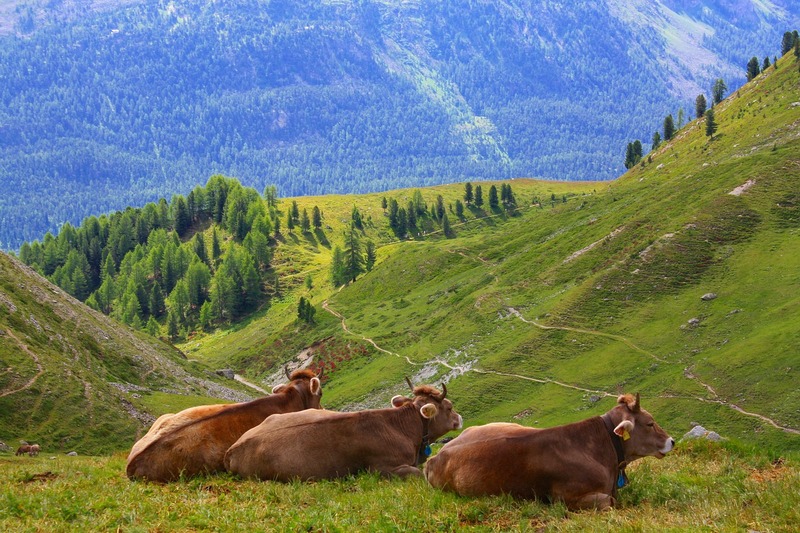 Here is a constantly growing collection of resources from around the web to help you plan you dream trip to Switzerland. The official Switzerland Tourism website is a great place to start planning your trip. The authority in all things travel, Lonely Planet has an extensive section all about Switzerland. 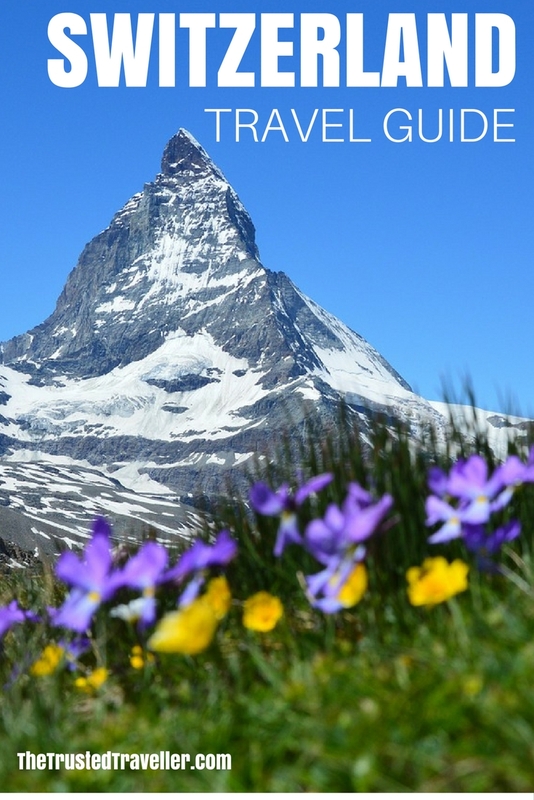 Or why not buy the Switzerland Lonely Planet Guidebook in hard copy or as an eBook. 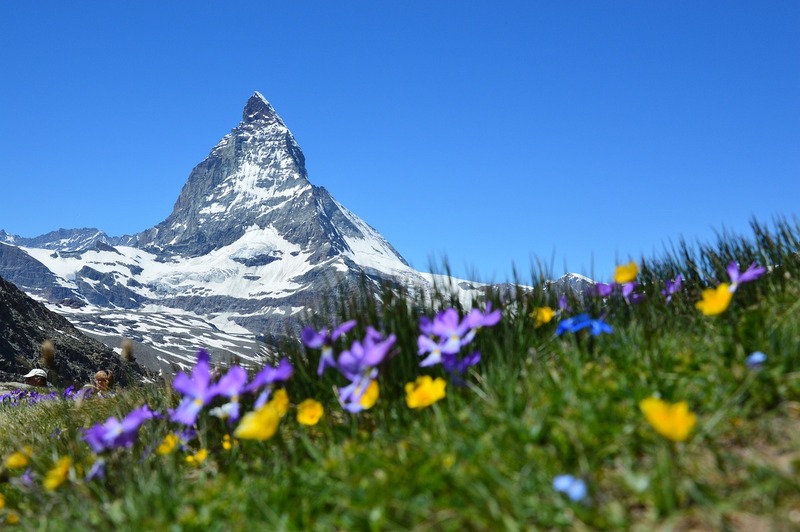 Born and raised in Switzerland, Catherine writes about her five-star travels in Switzerland on her blog Swiss Bliss Travel. PIN THIS TRAVEL GUIDE FOR LATER!